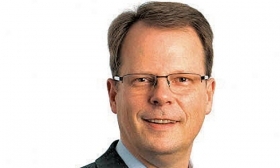 Peter Mertens, a member of the board of management at Audi AG with responsibility for technical development, will be among the speakers at the Automotive News Europe Congress in Turin on June 6. Mertens arrived at Audi in May 2017 from Volvo. The Volkswagen Group subsidiary is pushing to take the lead in the race to offer autonomous driving technology with the Level 3-capable A8 sedan. Audi plans to debut one full-electric car each year from 2018 until 2020, and is also developing the Premium Platform Electric with sibling brand Porsche. Prior to joining Audi, Mertens was responsible for r&d as a senior vice president for the Volvo Car Group, starting in 2011. Before that, he was on the management board of Jaguar Land Rover and headed corporate quality for Tata Motors Group. He also held senior product director positions at Opel and General Motors. Mertens started his automotive career in 1990 at Mercedes-Benz. The 21st Automotive News Europe Congress will be held June 5-6 at Italdesign. The eighth Automotive News Rising Stars ceremony will be held June 5 at MAUTO car museum in Turin.